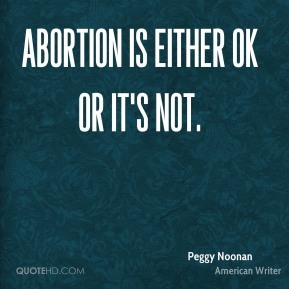 Abortion is either OK or it's not. 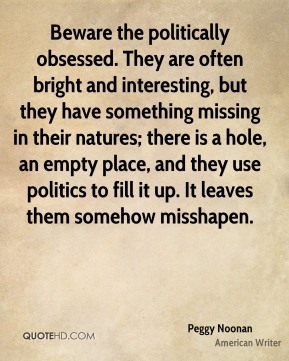 Beware the politically obsessed. 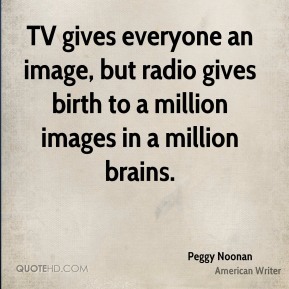 They are often bright and interesting, but they have something missing in their natures; there is a hole, an empty place, and they use politics to fill it up. It leaves them somehow misshapen. 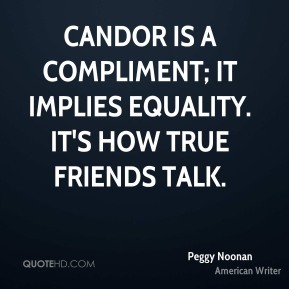 Candor is a compliment; it implies equality. It's how true friends talk. 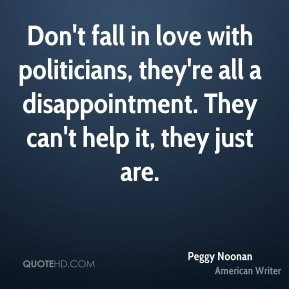 Don't fall in love with politicians, they're all a disappointment. 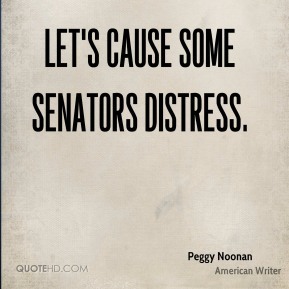 They can't help it, they just are. I love eulogies. 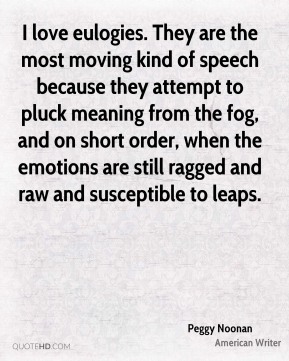 They are the most moving kind of speech because they attempt to pluck meaning from the fog, and on short order, when the emotions are still ragged and raw and susceptible to leaps. 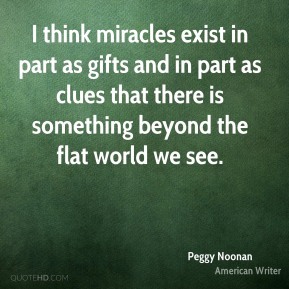 I think miracles exist in part as gifts and in part as clues that there is something beyond the flat world we see. 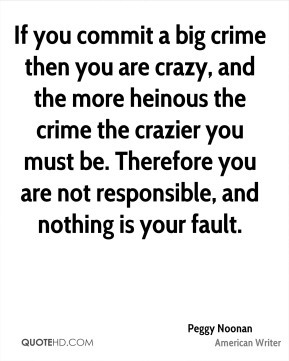 If you commit a big crime then you are crazy, and the more heinous the crime the crazier you must be. Therefore you are not responsible, and nothing is your fault. 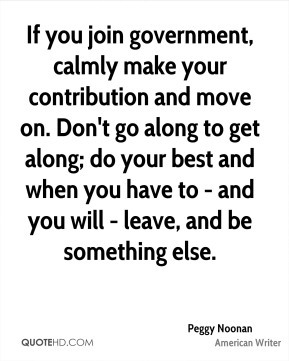 If you join government, calmly make your contribution and move on. Don't go along to get along; do your best and when you have to - and you will - leave, and be something else. 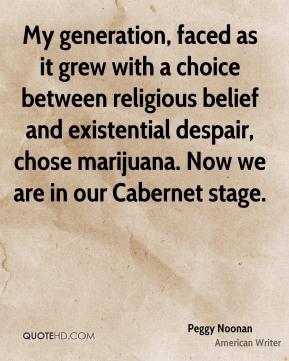 My generation, faced as it grew with a choice between religious belief and existential despair, chose marijuana. Now we are in our Cabernet stage. 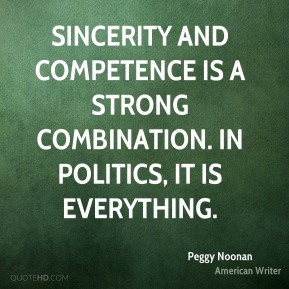 Sincerity and competence is a strong combination. In politics, it is everything. 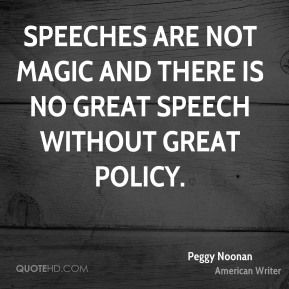 Speeches are not magic and there is no great speech without great policy. The 2008 election settled nothing, not even for a while. 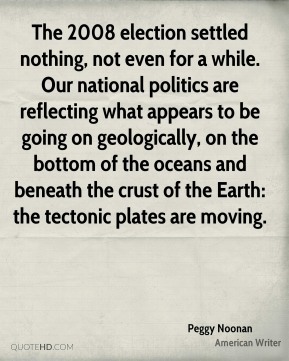 Our national politics are reflecting what appears to be going on geologically, on the bottom of the oceans and beneath the crust of the Earth: the tectonic plates are moving. 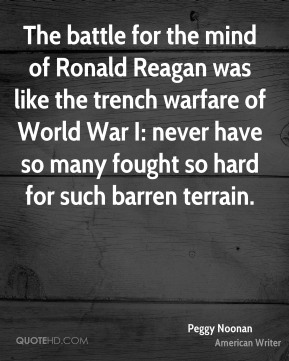 The battle for the mind of Ronald Reagan was like the trench warfare of World War I: never have so many fought so hard for such barren terrain.